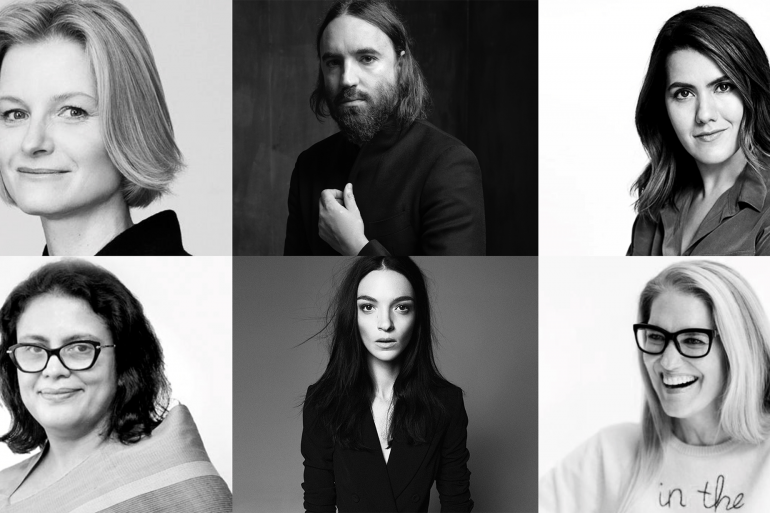 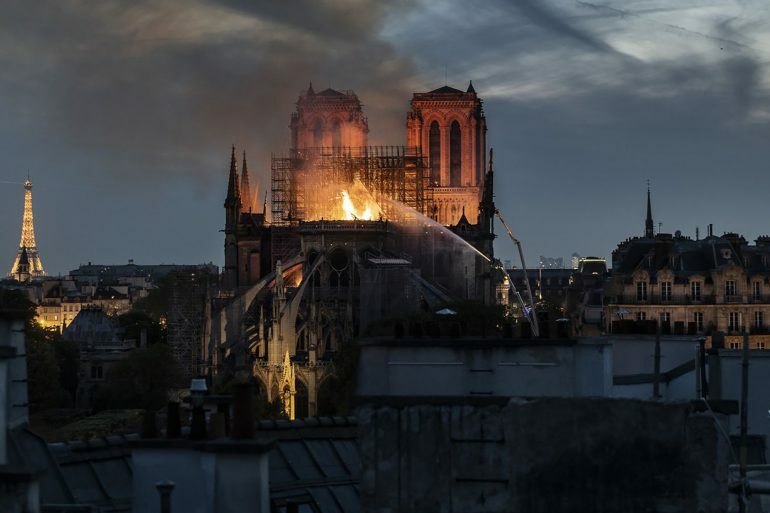 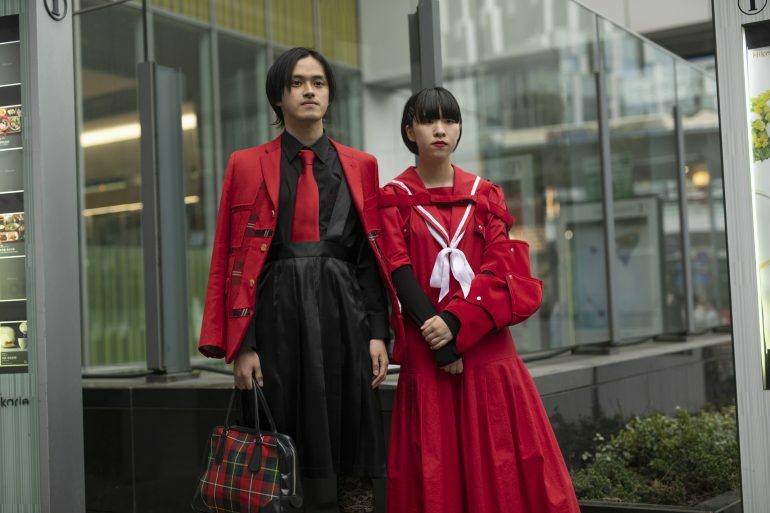 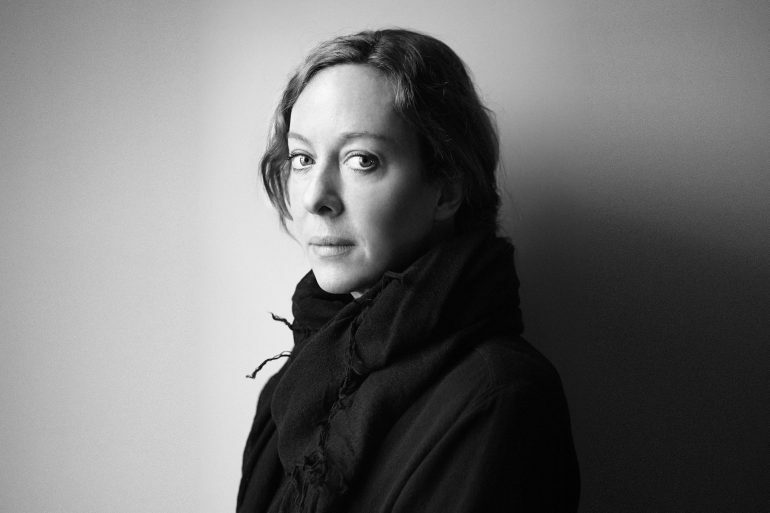 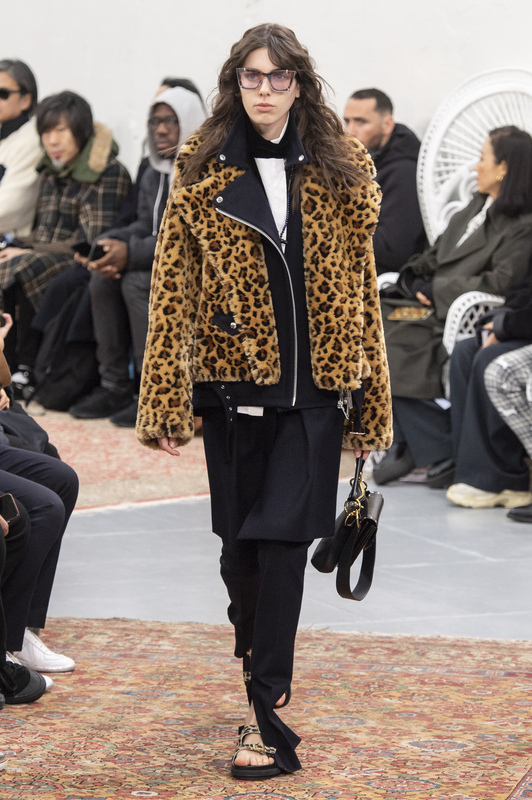 Designers endorsed owning one’s essential nature this season as they say the leopard cannot change its spots, and the tiger cannot change its stripes. 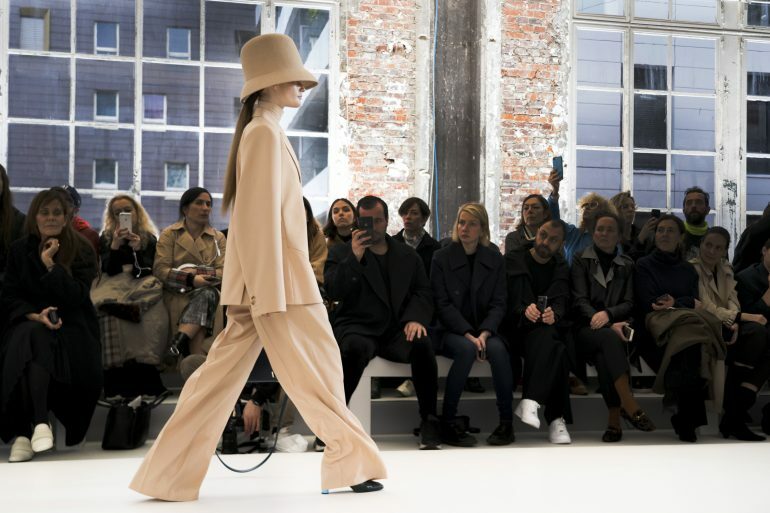 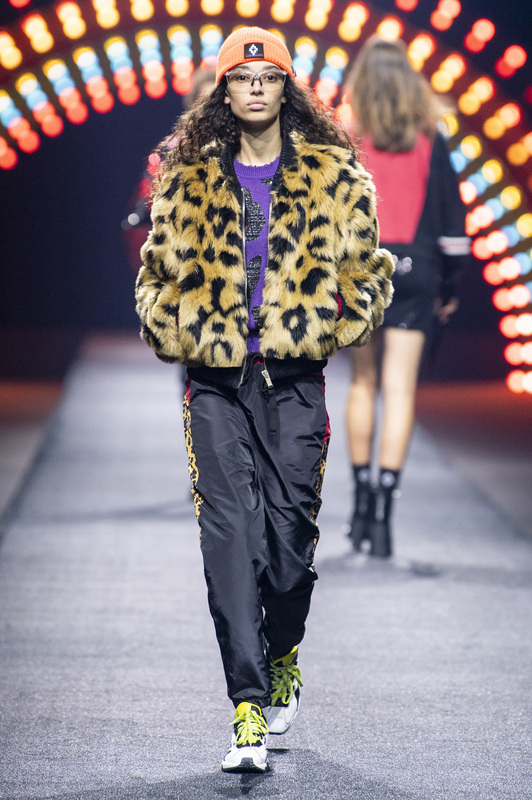 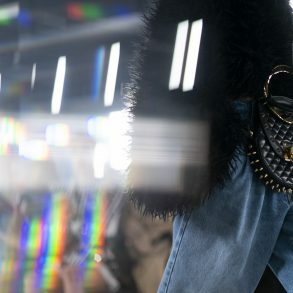 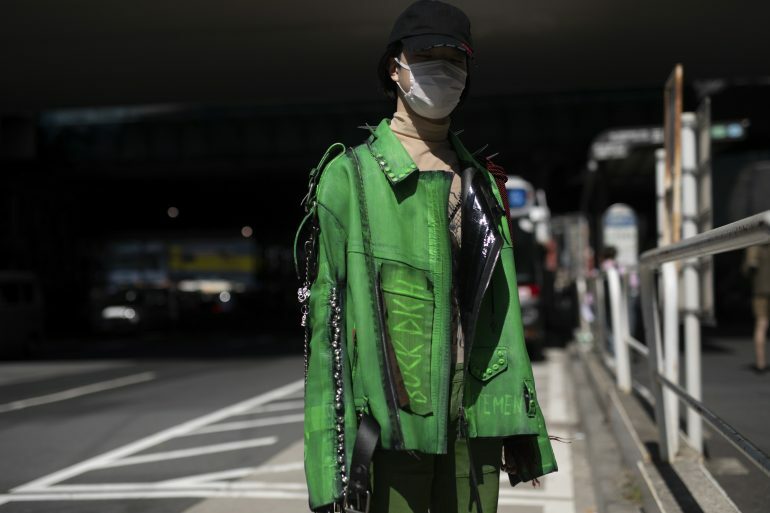 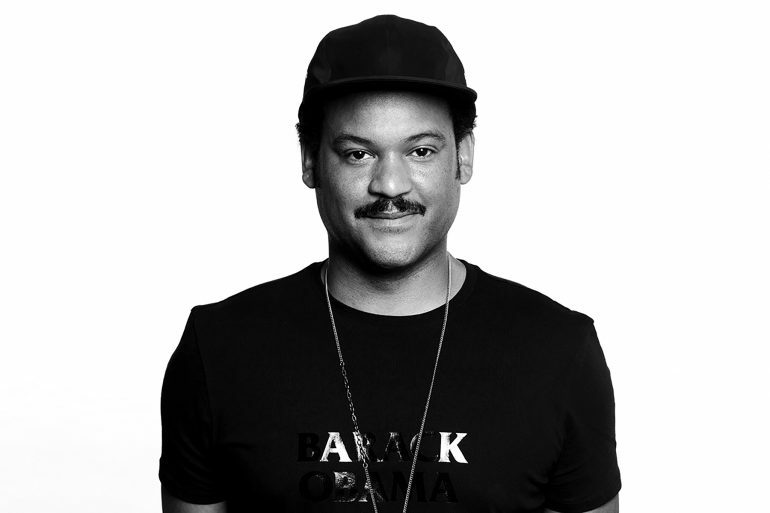 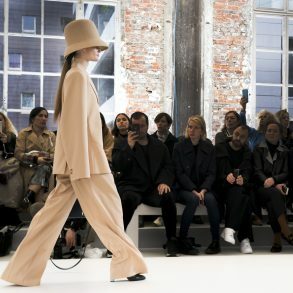 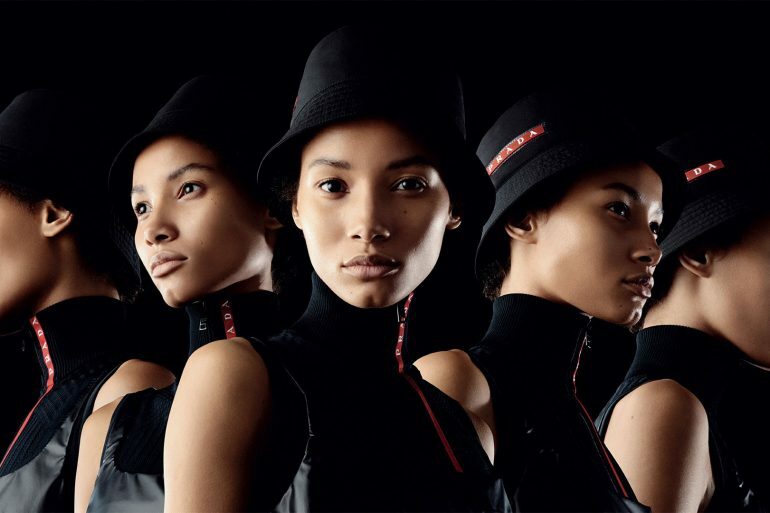 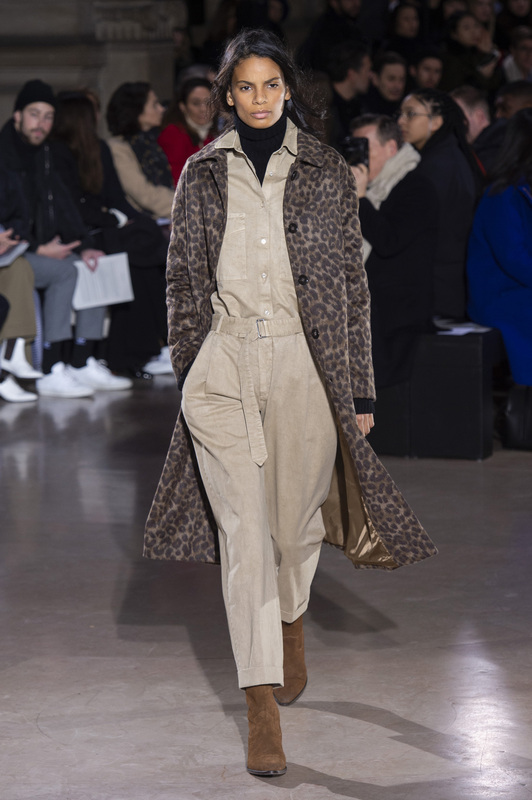 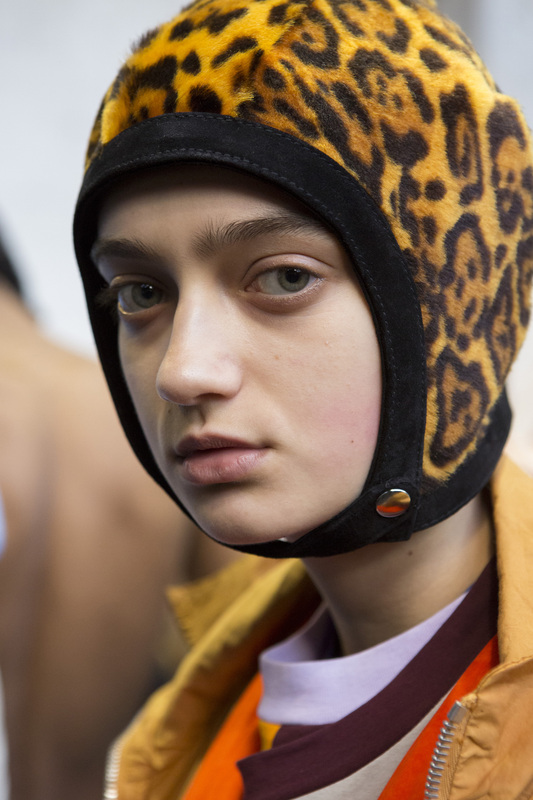 The fastest cat in the jungle jumped out early this season in designer Alexander wang’s early fall showing in June and never fled back into the bush. 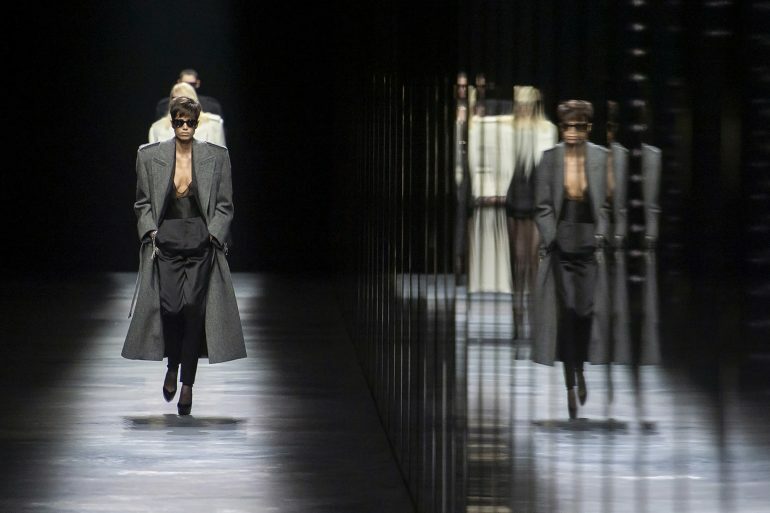 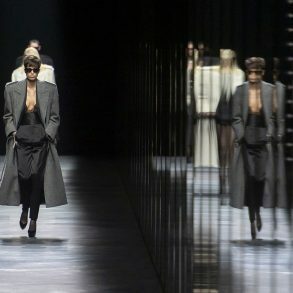 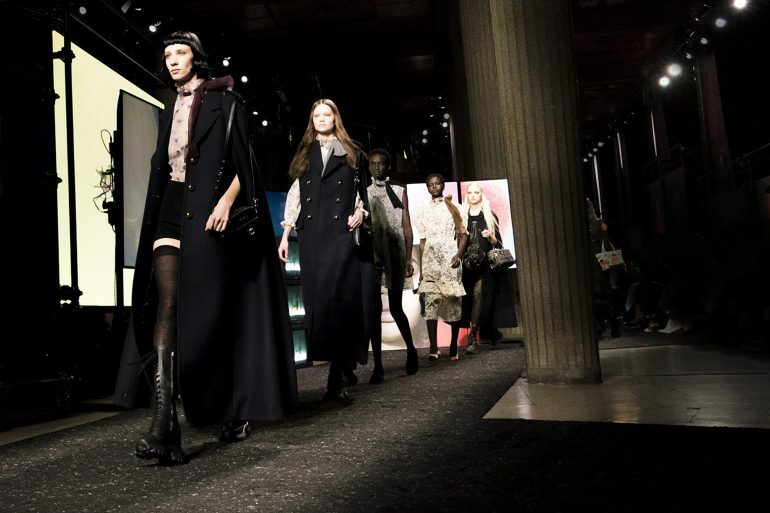 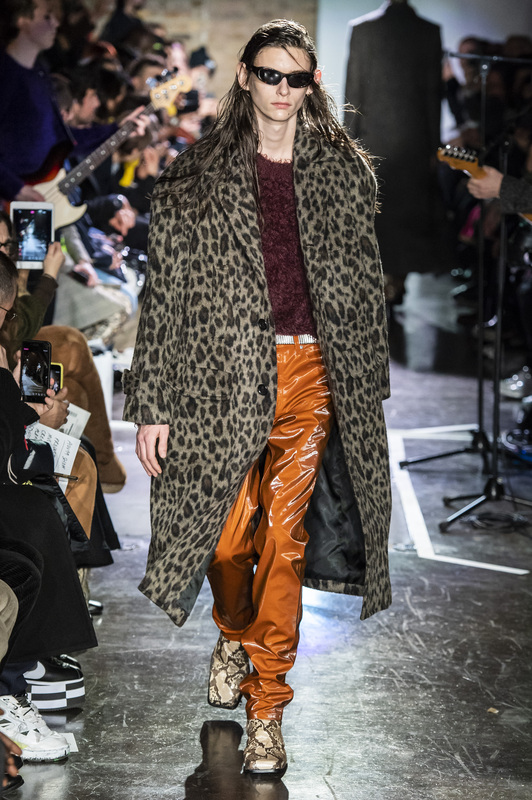 Heli Slimane, always about cool cats, embraced the trend with his Celine show that merged early David Bowie in Berlin with Cat People. 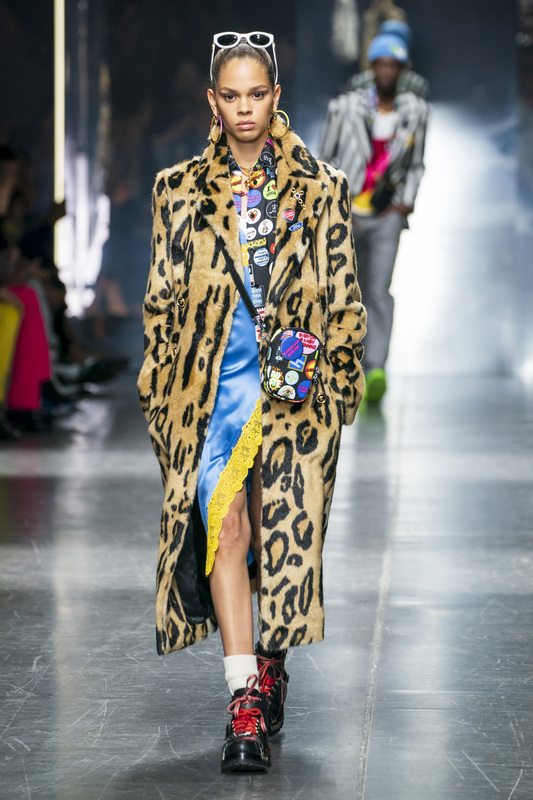 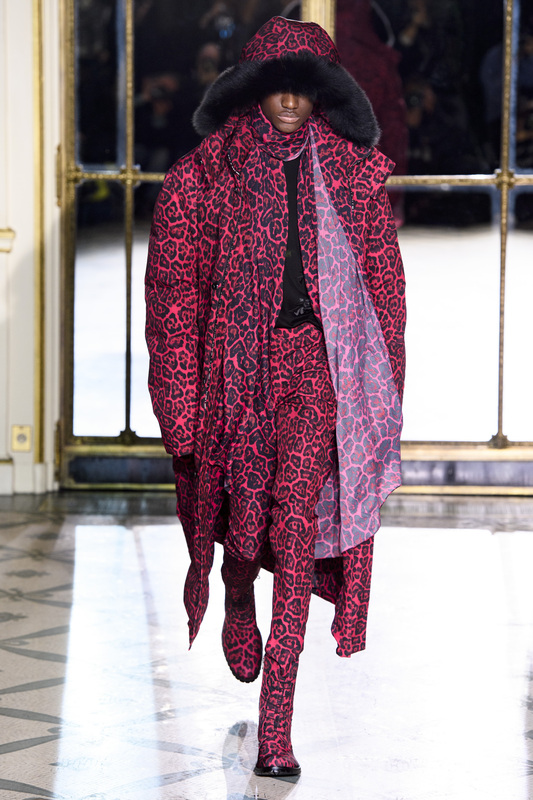 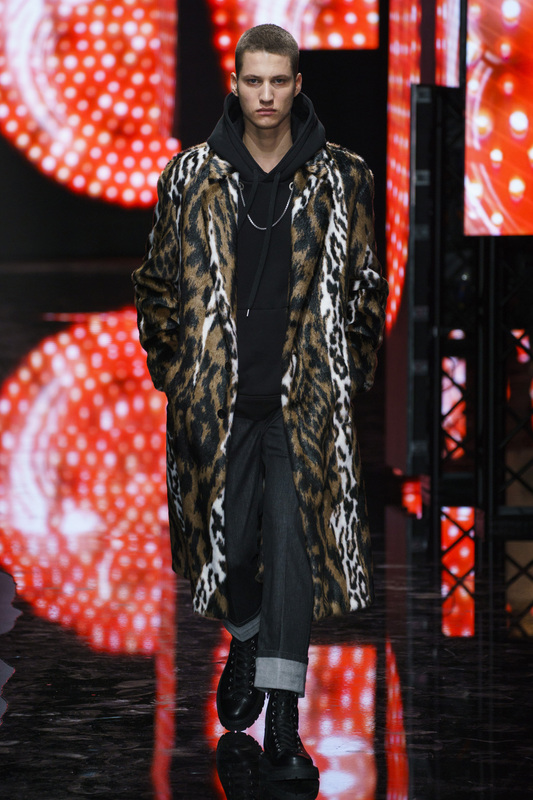 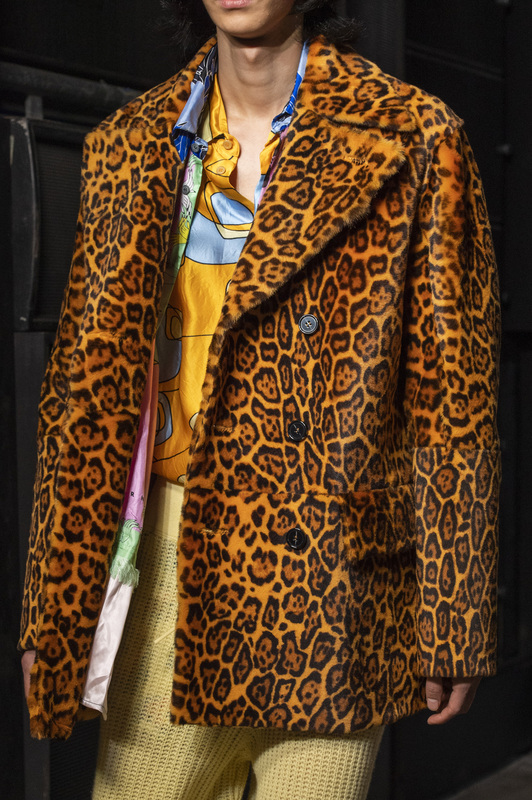 Marni, Neil Barrett, Sacai and even Donatella Versace, definitely a cat person, took leopard to the catwalk. 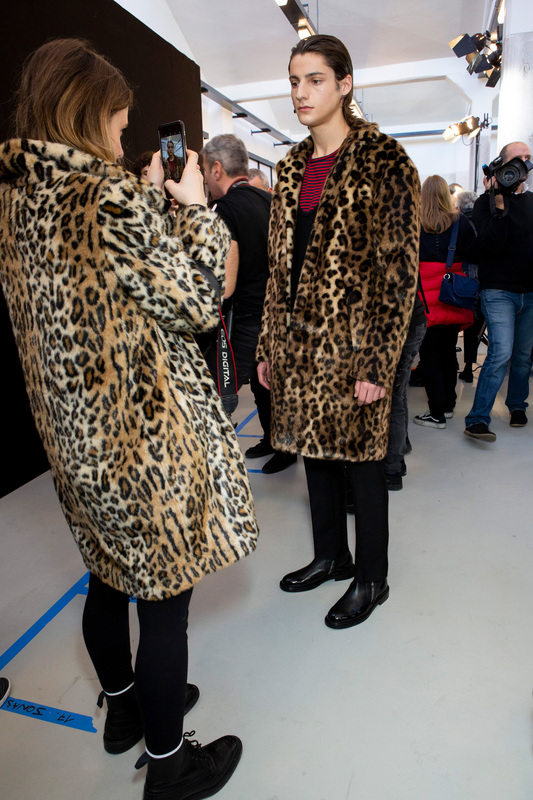 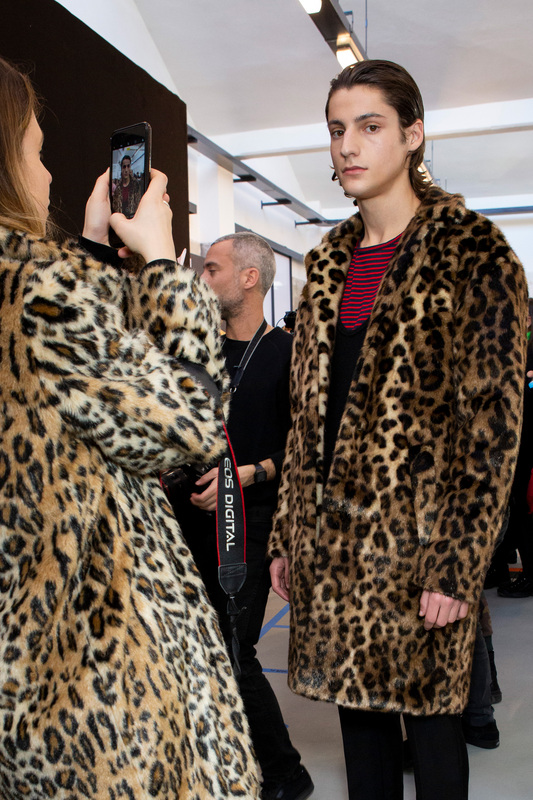 Cat epopel even invaded backstage as the irony wasn’t lost on the Instagram crowd as a fan of leopard print wore her own leopard coat while snapping photos of Nº21’s leopard coat behind-the-scenes. 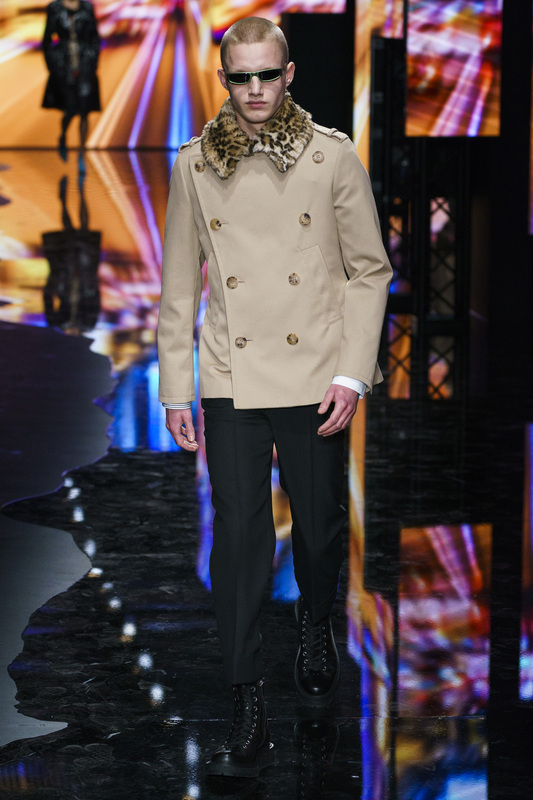 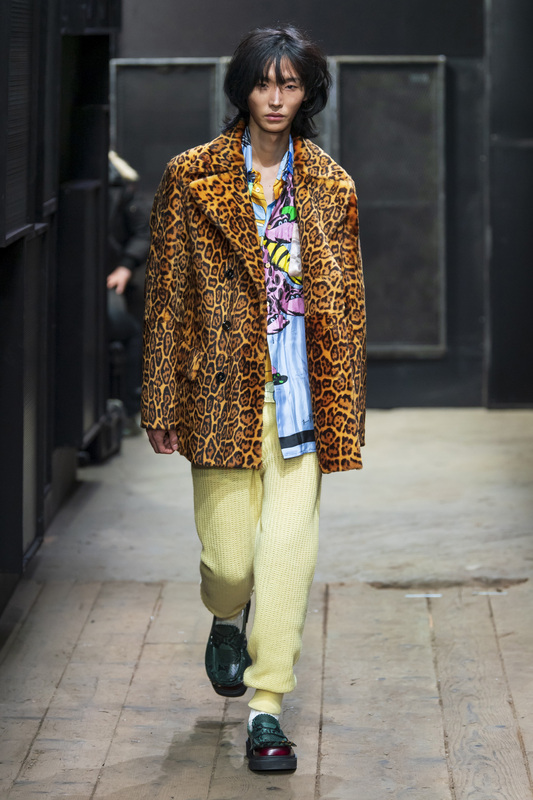 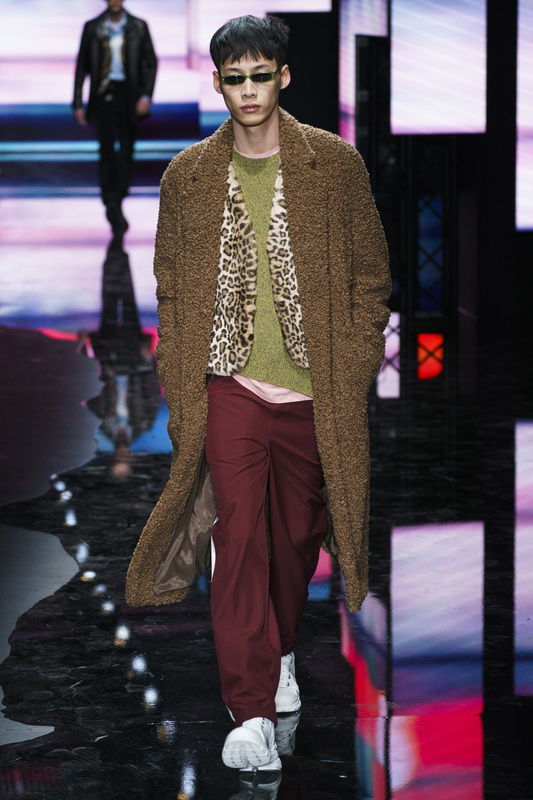 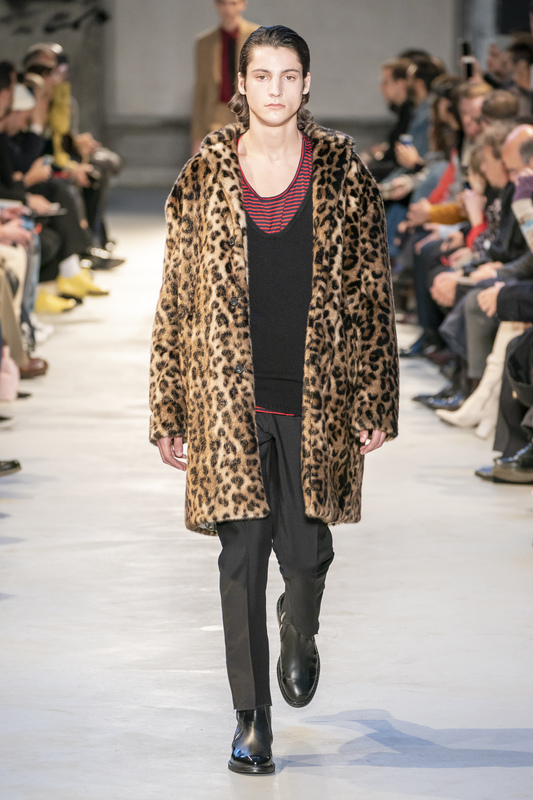 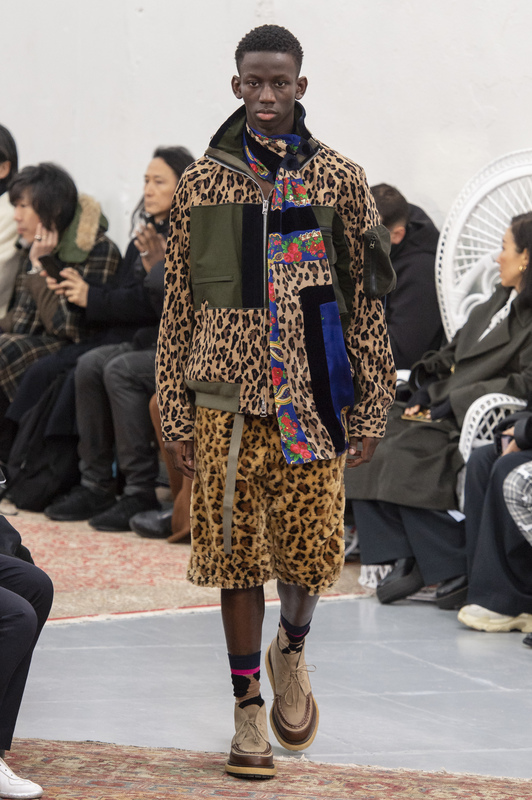 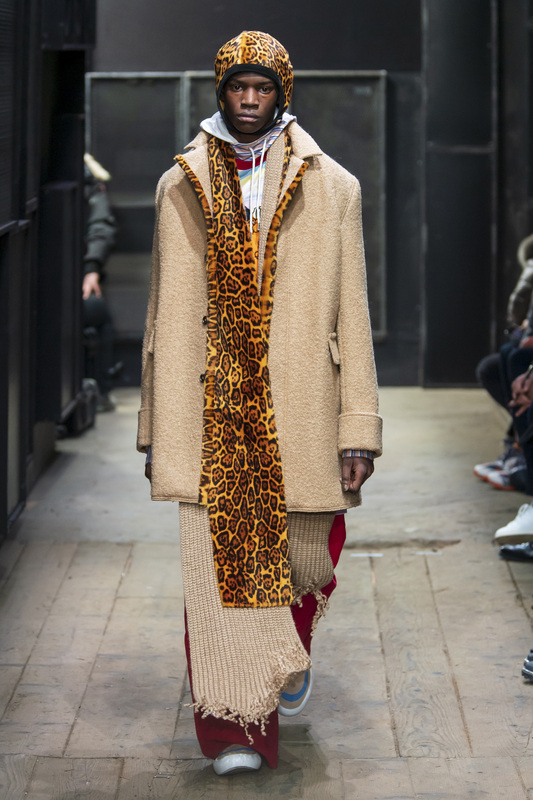 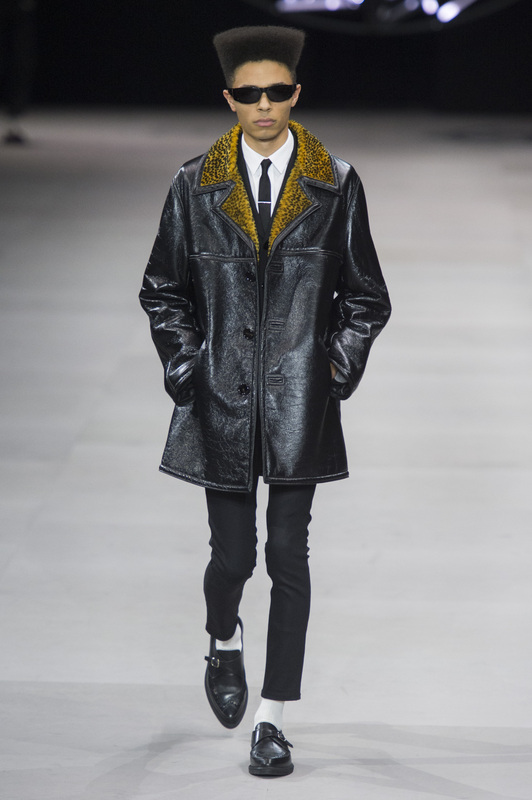 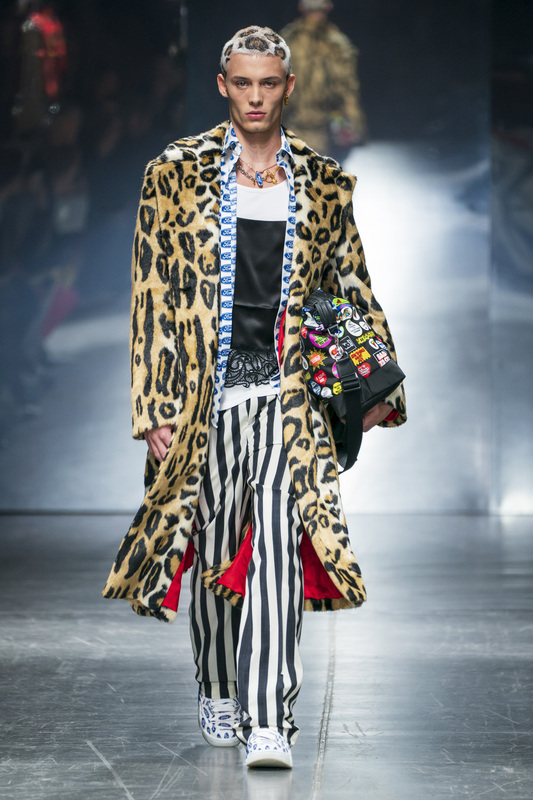 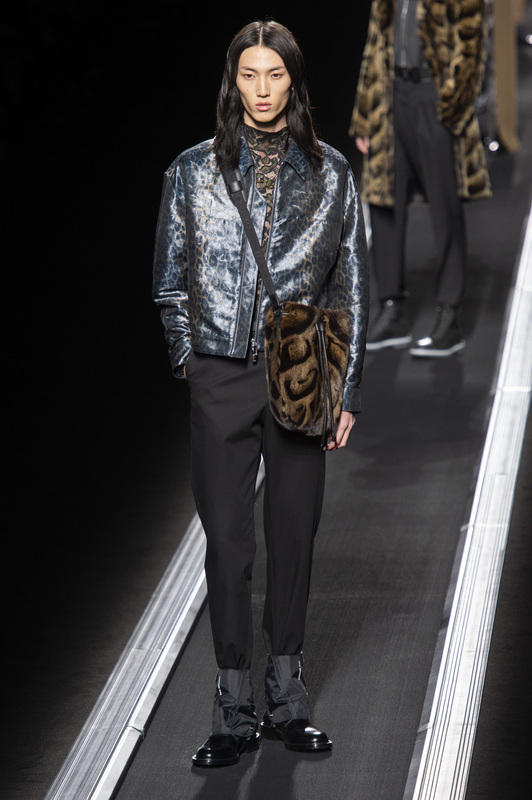 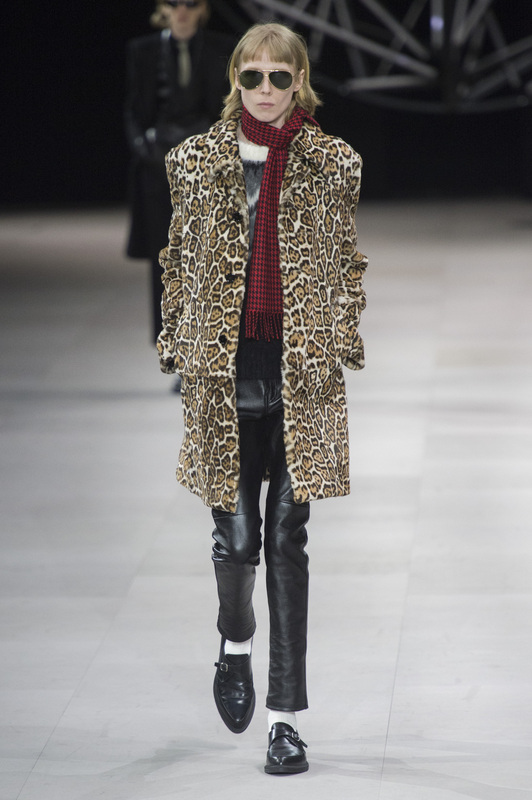 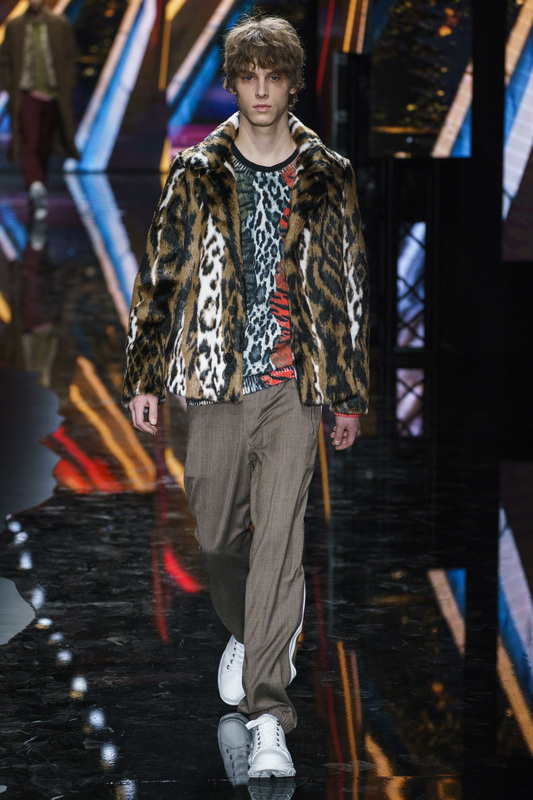 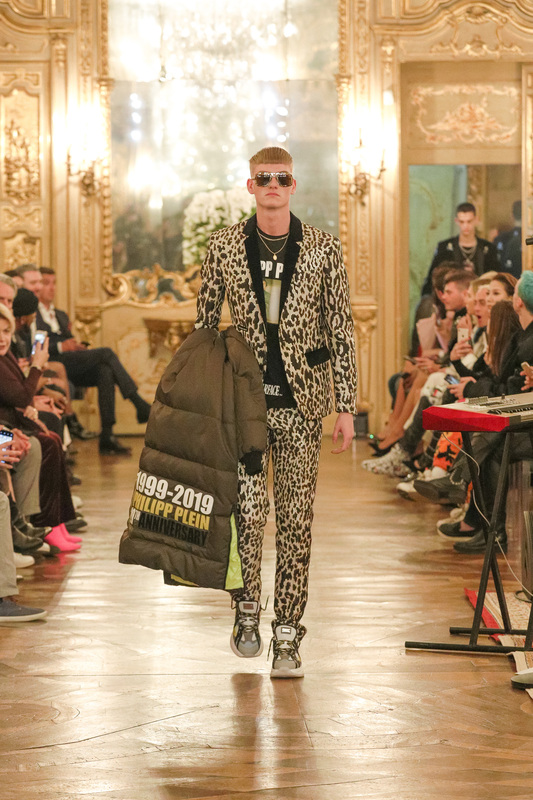 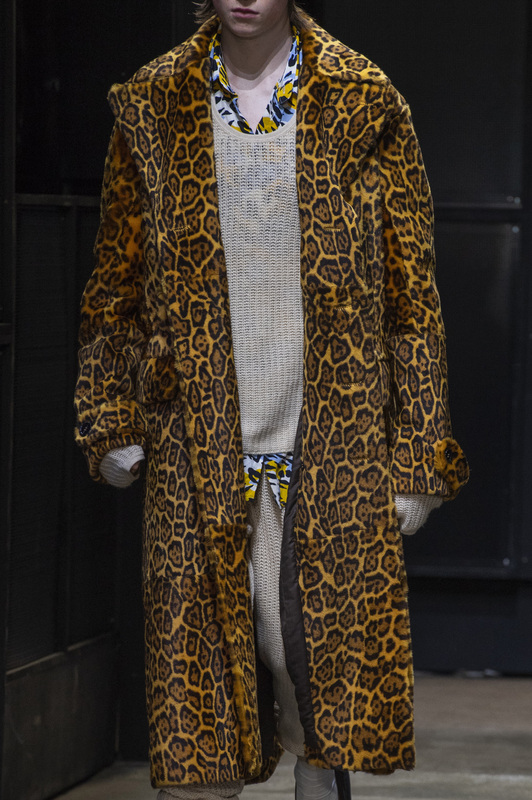 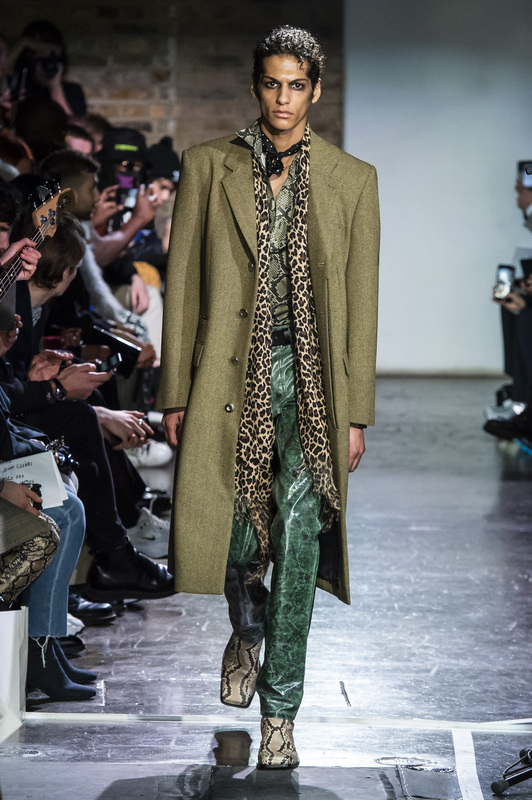 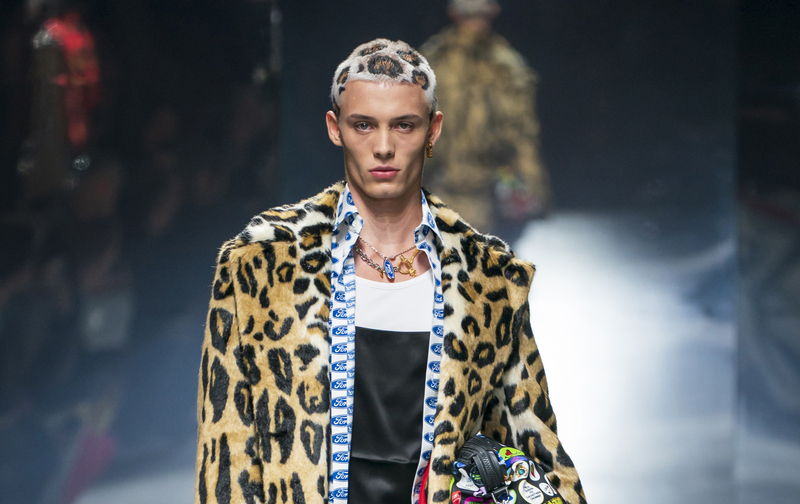 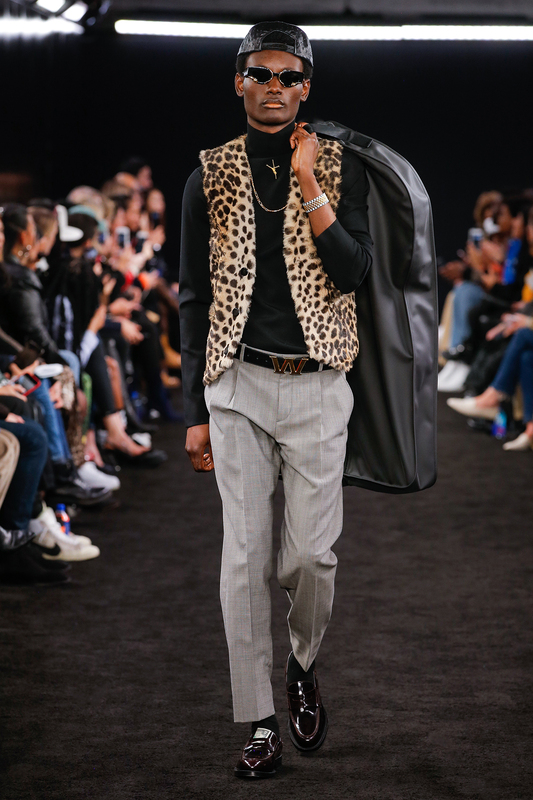 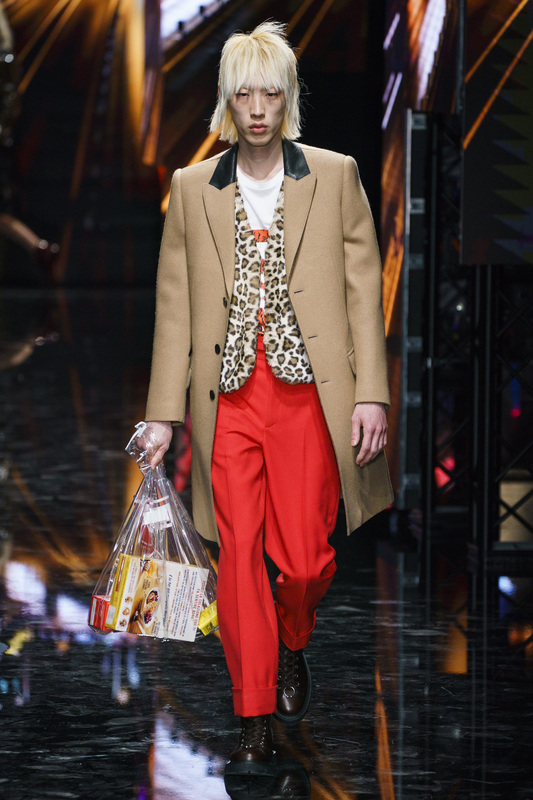 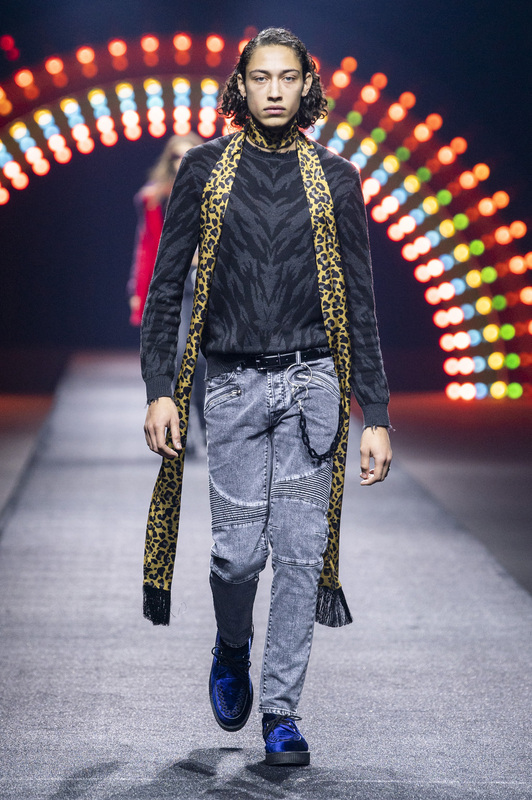 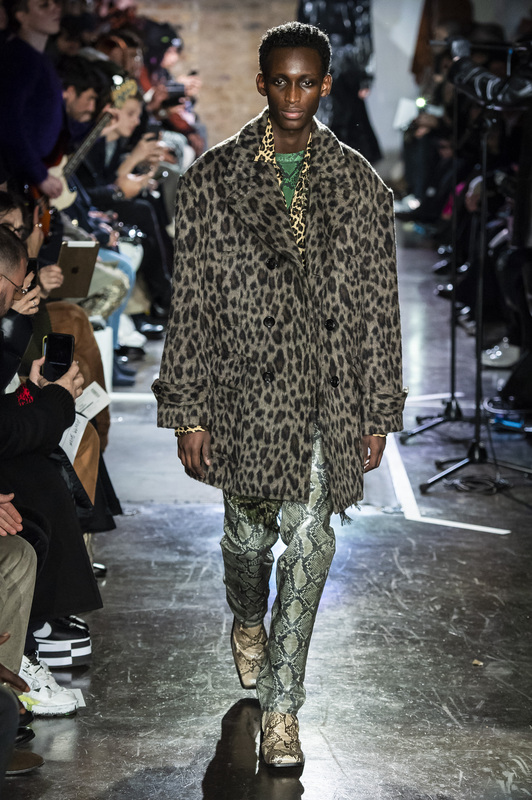 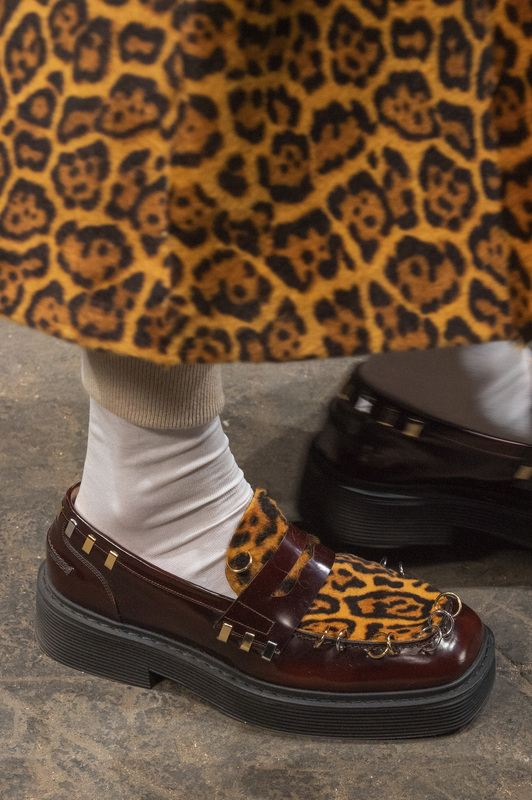 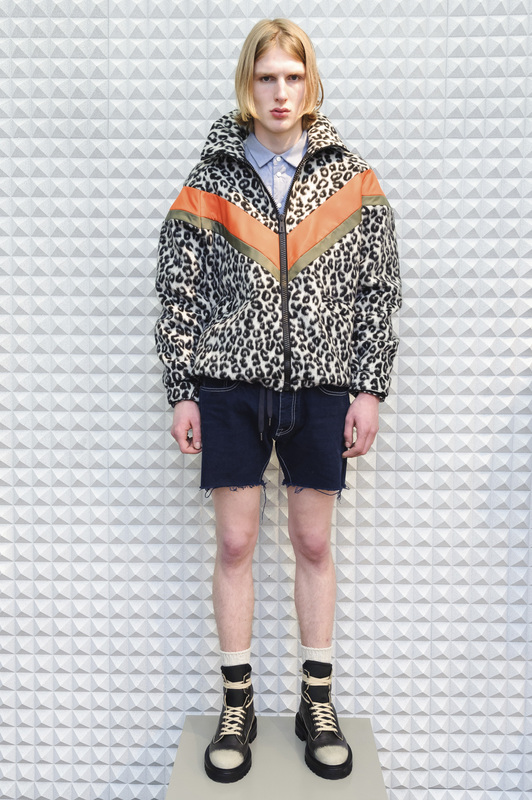 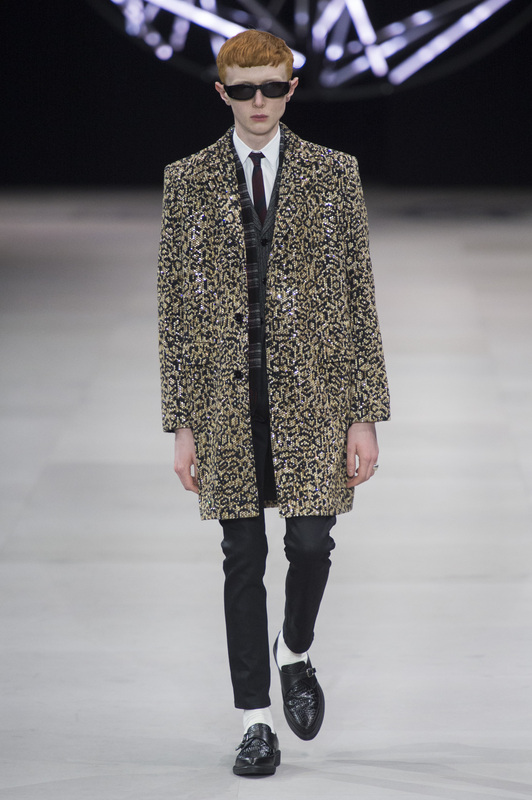 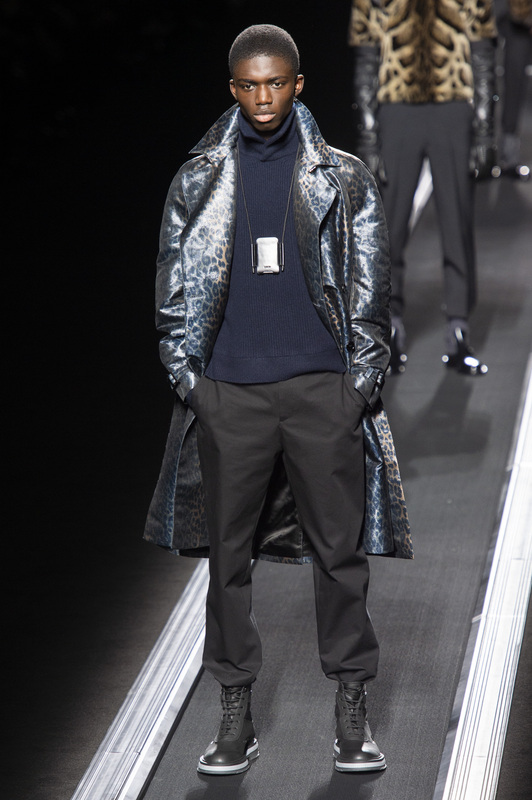 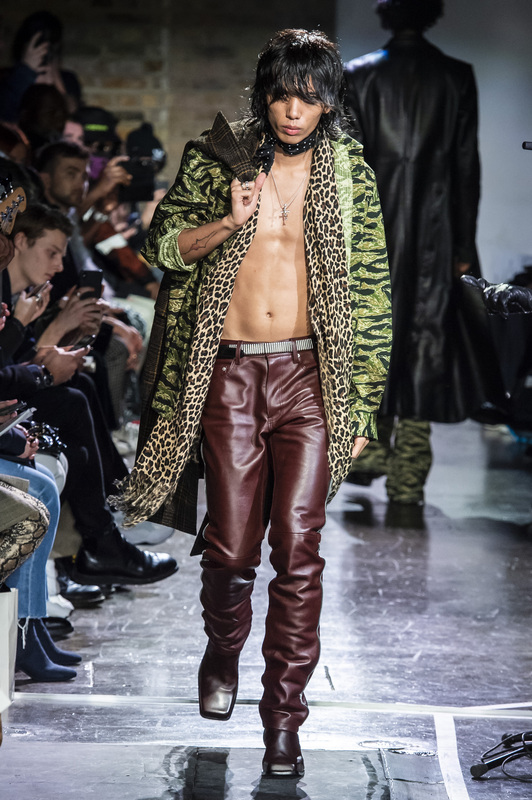 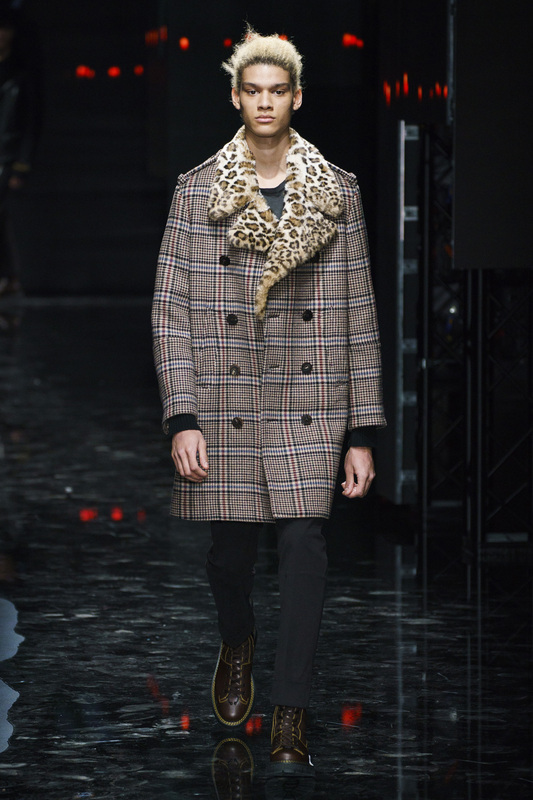 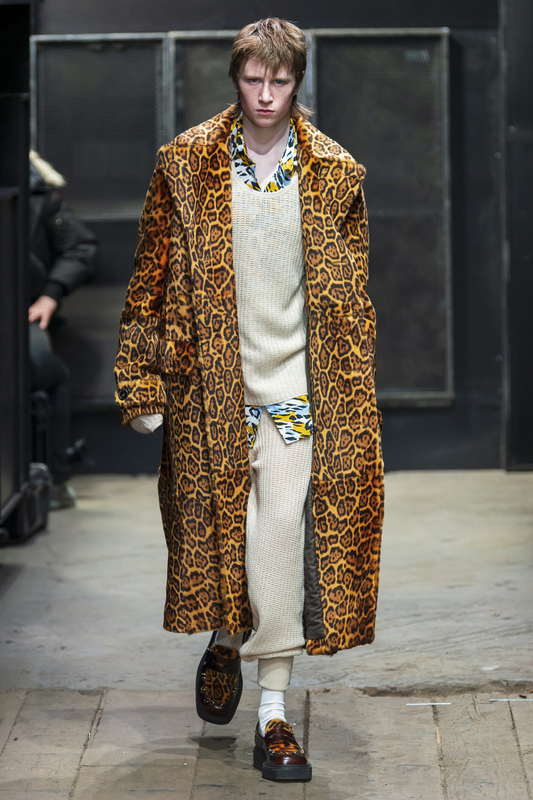 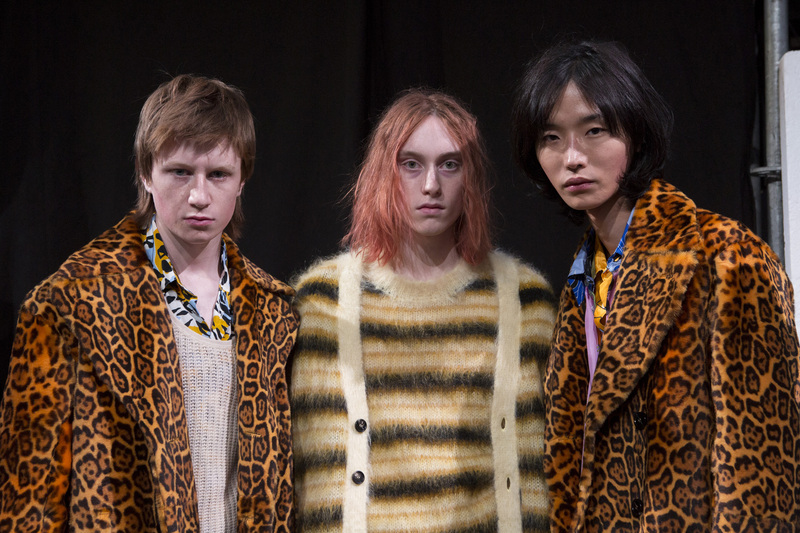 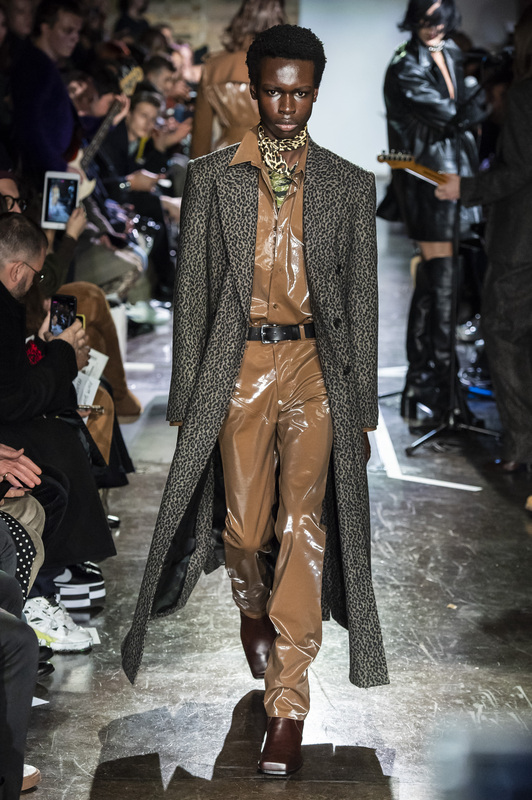 Here is The Impression’s spot-on animalistic trend of the fashion season for Fall 2019 menswear, leopard.